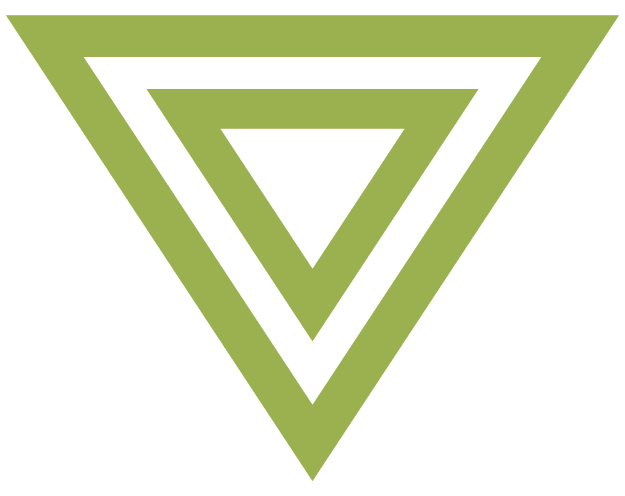 At The Boulevard, we believe that you shouldn’t have to choose between function and form. 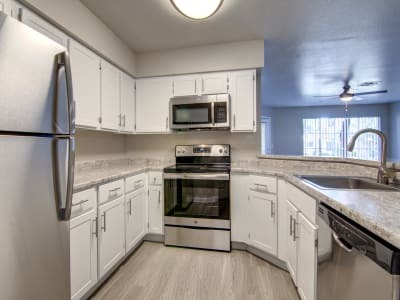 Our modern apartment homes in North Phoenix, AZ, offer you functional layouts with trendy updates, such as available contemporary cabinetry and countertops. Your kitchen also boasts all electric appliances and beautiful, wood-style flooring. Every home includes a convenient in-home washer and dryer, as well as spacious walk-in closets to keep life organized. 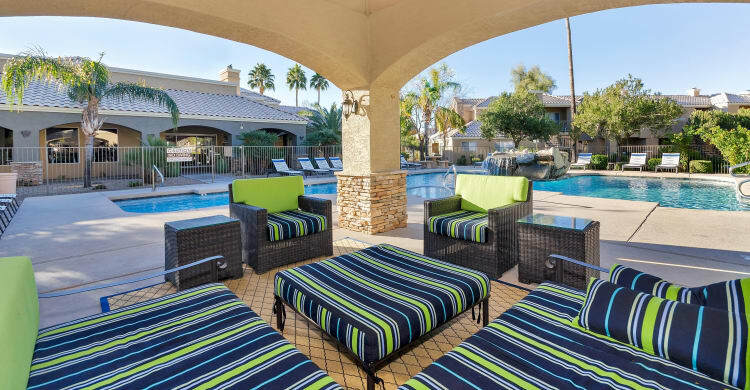 Beyond the walls of your modern apartment home, you’ll enjoy exclusive resident amenities such as two sparkling swimming pools, picnic tables, and gas grilling stations. 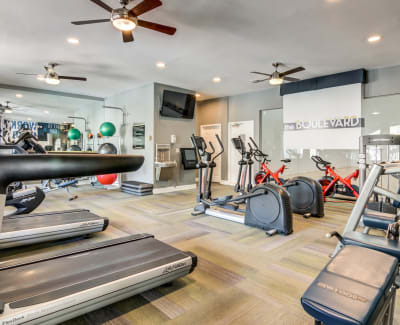 Fitness enthusiasts will appreciate a wide range of options, from the 24-hour fitness center to the indoor sport court with on-demand training. Take your pup for a walk around the manicured grounds or let them romp around with friends at the community bark park. Life is limitless here at The Boulevard. To learn more about our 1, 2 & 3 bedroom apartments, check out our floor plans page. Feel free to call our knowledgeable leasing staff for a private walk-through of our community.